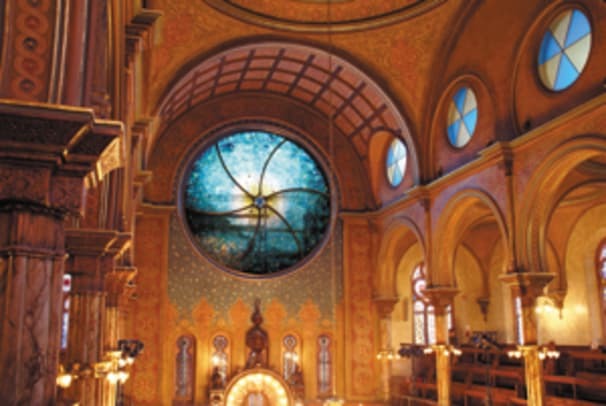 Restoring the historic Eldridge Street Synagogue&apos;s art glass required 10 months of exhaustive design, fabrication, and site work--resulting in New York City&apos;s largest independent restoration effort not supported or attached to an institution or government agency. Ultimately, the funds raised enabled the full restoration of the synagogue to its former glory by Walter Sedovic Architects, based in Irvington-On-Hudson, NY. (See TraditionalBuilding, December 2006). In addition, the funds raised were used to form the Museum at Eldridge Street to present the culture, history and traditions of the great wave of Jewish immigrants to the Lower East Side. There was no record of what the original window looked like, so the question was, what should be done? Copy one of the existing windows? 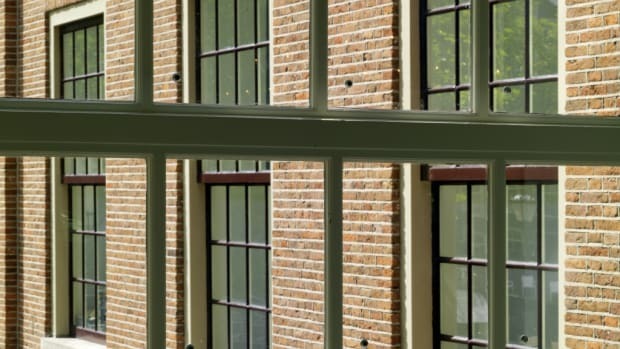 Design a window of the period employing existing design schemes within the building? Preserve the glass block lancets? 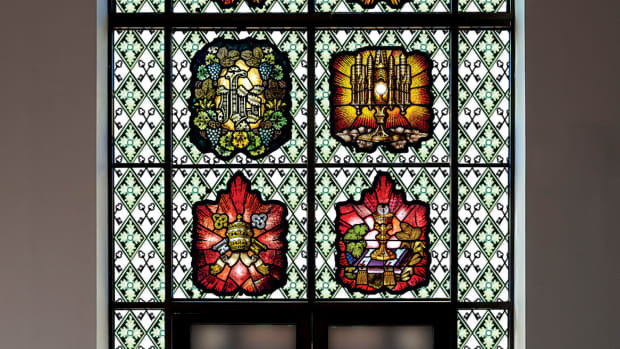 In 2007, the Gil Studio was awarded the contract to restore the Eldridge Street Synagogue&apos;s art glass. Tom Garcia, president of the Gil Studio, selected Femenella & Associates to design and fabricate the custom frame and to handle all site work and the installation of the frame, new glass and protective glazing system. The Kiki/Deborah design is truly inspirational but instantly created perspiration for those of us who had to execute the work. Gans&apos;s frame design idea was distilled from sacred geometry and called for a 16-ft.-dia. window with a very small Magen David center, the balance divided into six segments. Each segment was approximately 30 sq. ft. and did not lend itself to the reasonable constraints of a traditional leaded-glass window. This was an amazing project for all those involved. The design, fabrication and installation of the new window took a total of 10 months. 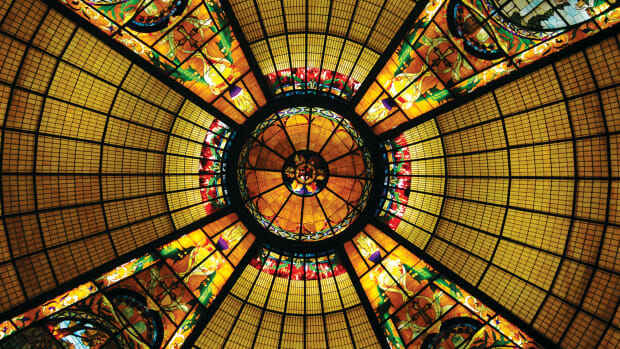 The installation began in December of 2010 and was completed a month later.